Sometimes your PC gets cluttered with temporary and other unwanted and useless files. This can slow the PC down. Fortunately it’s easy and simple to get Windows to maintain itself, and stay speedy and clean, reducing the amount of disk space occupied by these unwanted files. To achieve this, Windows uses a feature called Storage Sense. You can find this in Settings > System > Storage. 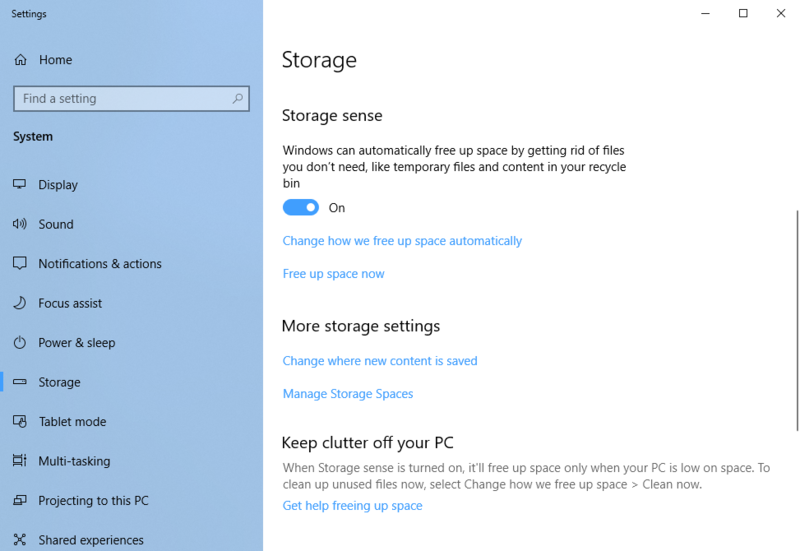 With Storage Sense turned on, Windows will automatically clean out unwanted files on a regular basis. It’s worth noting though that the default action is for Windows to automatically clean (i.e. delete) everything you can downloaded from the Internet, and kept in your Downloads folder. 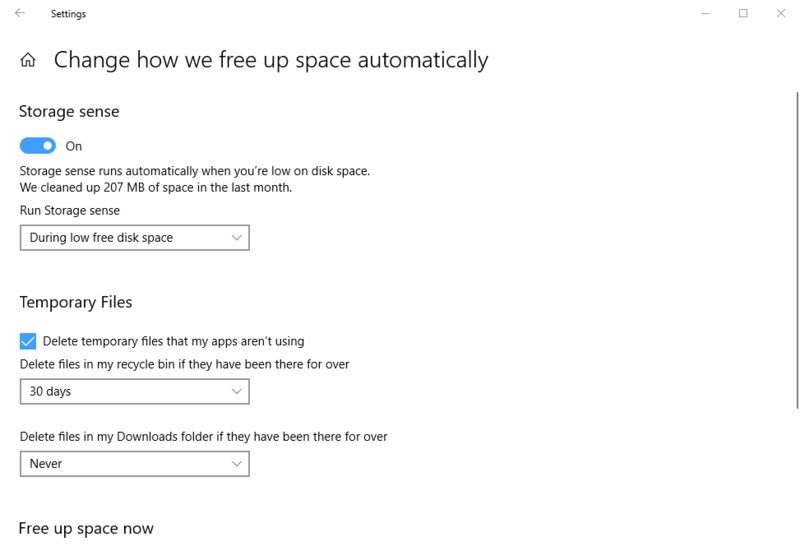 If you have files in downloads you want to keep, you can disable this function in the Storage Sense settings, by clicking the Change how we free up space automatically link. In the settings that then appear, you can change the Delete files in my Downloads folder if they have been there for over…setting. You have a choice of 1 day, 14 days, 30 days, 60 days, or Never. With Storage Sense configured on your PC it will run automatically in the background so you don’t need to worry about it in the future.